We understand the importance of offering the best senior care value. At Eldercare Home Health there are no confusing “packages” or “programs” to be bothered with. All of our senior care services are available all of the time, at one, all inclusive and competitive rate. 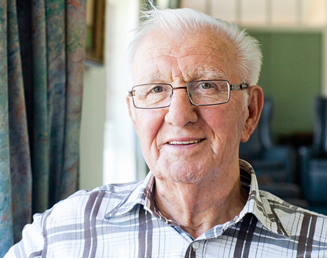 We know you want to do the right thing for your elderly parent or relative. Eldercare Home Health provides PSW caregivers who are supervised by Registered Nurse (RN) Case Managers. While you may think this is a “no-brainer”, in fact it isn’t. Very few (if any) other senior care providers in Toronto assign a Registered Nurse to actively case manage and supervise your parent’s care on an ongoing basis. This is a key difference between how Eldercare Home Health provides senior care services, and how other companies (“non-medical” services) provide service. This means that the level and quality of the care being provided to your parent is not determined by the caregiver on site, but by a Registered Nurse Case Manager who is actively involved in helping to ensure that things are going as they should. All of our RN Case Managers ultimately report to the President of the company, Lisa Wiseman, who is also a Registered Nurse. You may think that this level of care would cost more – but it doesn’t. We bill only for the time the PSW caregiver is on site, we do not bill additionally for the involvement and services of the Registered Nurses. Registered Nurse case management and supervision – at no additional charge – has been at the core of what we do since Lisa Wiseman BScN, RN, GNC(C) started the company.